SINN FÉIN has said the public appetite for a border poll should be tested with a question in 2021 census. Former Stormont speaker Mitchel McLaughlin said people should be asked whether they support the status quo or favour a united Ireland. The former party chairman, who retired as an MLA in 2016, floated the idea on Tuesday night during his inaugural lecture as an honorary professor in Peace Studies at Queen’s University Belfast. It comes against a background of increased speculation over the outcome of a border poll, fuelled by Brexit. Mr McLaughlin believes a census question would provide an accurate indication of support for unity. 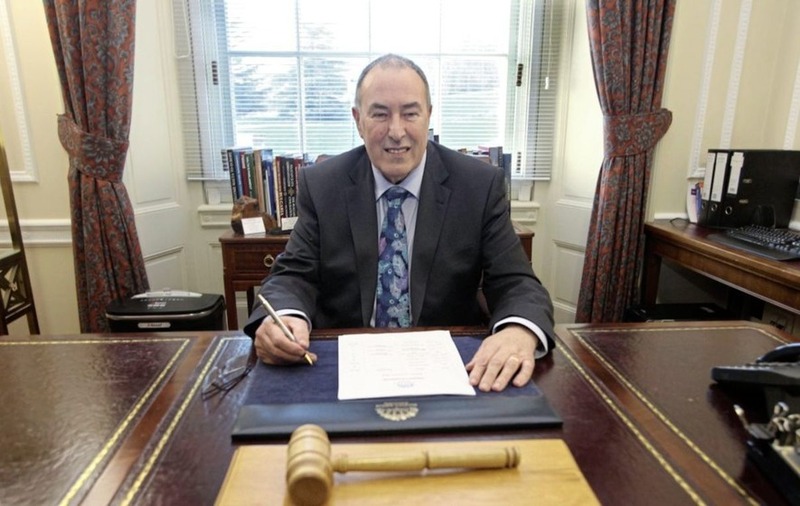 “Perhaps the most constructive contribution that a restored executive, or in their absence, a secretary of state could make, would be to arrange for an appropriate question to be formulated for inclusion in the 2021 census that would permit citizens to declare their support for either of the two constitutional options described in the Good Friday Agreement,” he said. According to the agreement, a referendum can be called when it appears likely that a majority would support a united Ireland. But the British government argues that most people in the north support the union. Mr McLaughlin said the inclusion of such a question would have no constitutional effect. “However, the objectivity of the process and collation of responses would be essential to a decision on a referendum on Irish unity and in itself an encouragement for developing rational and thoughtful debate,” he said. Last month it was reported that British prime minister Theresa May doubted whether unionists would emerge victorious from a border poll.